Another player favorite is Eden, named after its lovely, snake-shaped rock wall. 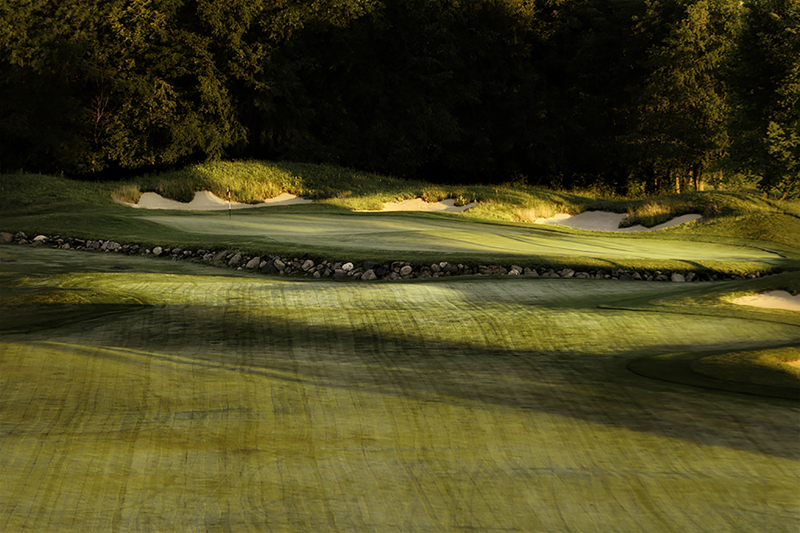 This medium-length par 4 appears easy at first glance. 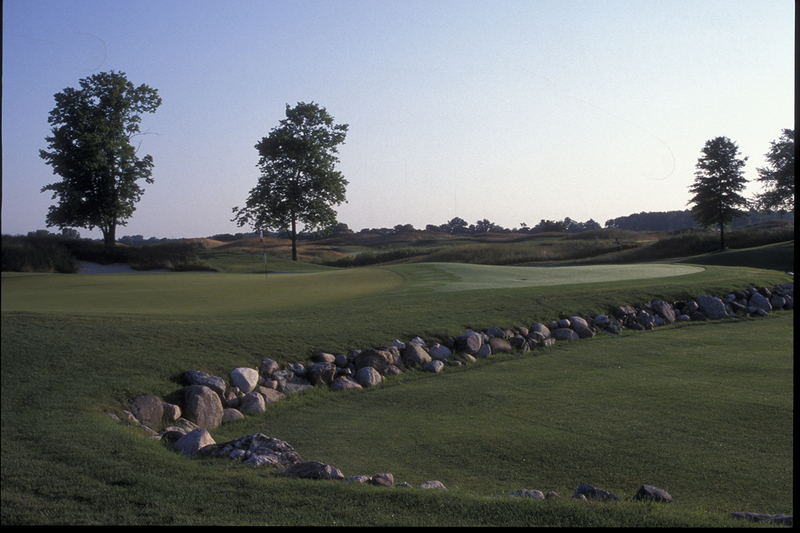 But it tests you with trees, fairway bunkering and undulating mounds on the green. 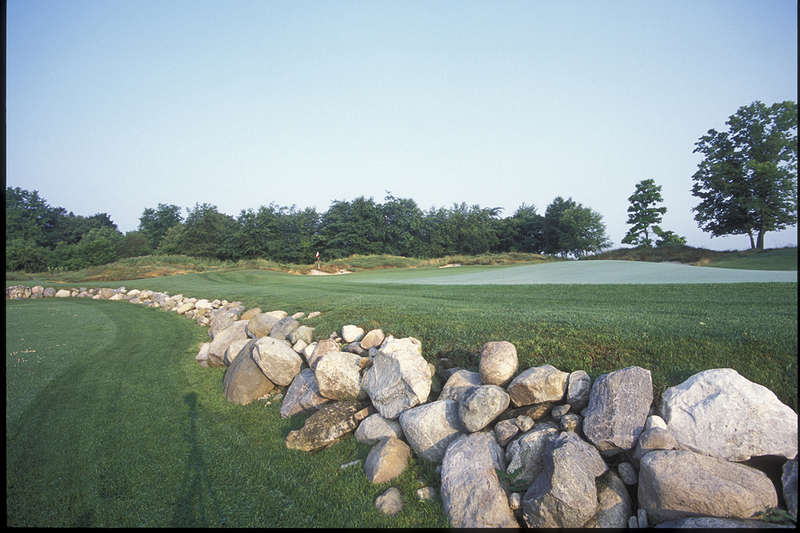 The green is protected on the front by the rock wall, and bunkers behind the pin will catch any shots hit too strong.